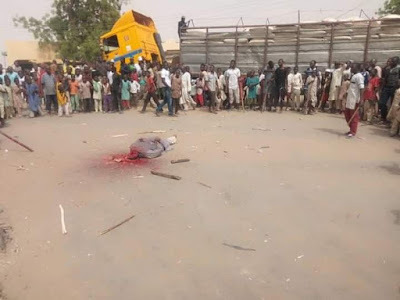 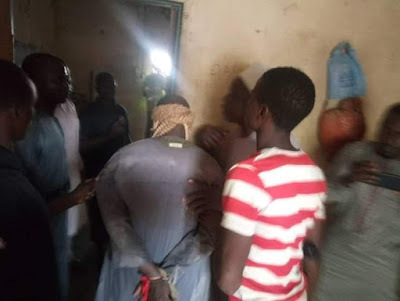 Angered by the incessant killings in Zamfara and government's inaction, a mob executed a suspected bandit apprehended by members of the Civilan JTF. 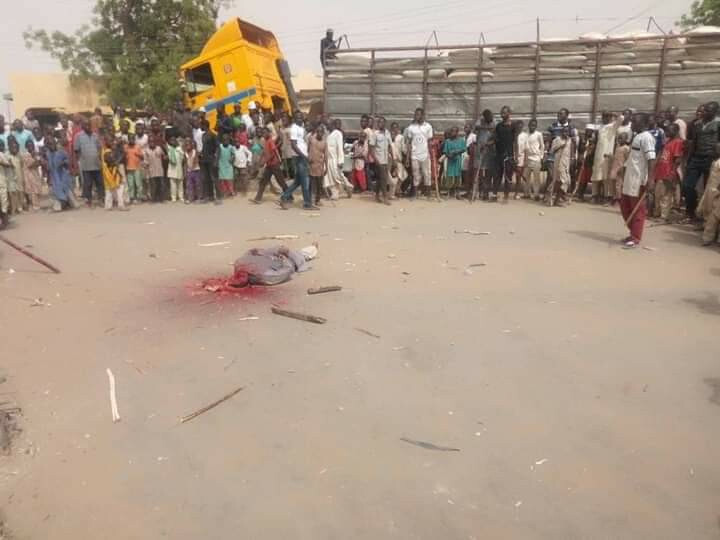 The incident occurred in Shinkafi local government area of the stte, where about 40 persons were killed by armed bandits over the weekend. 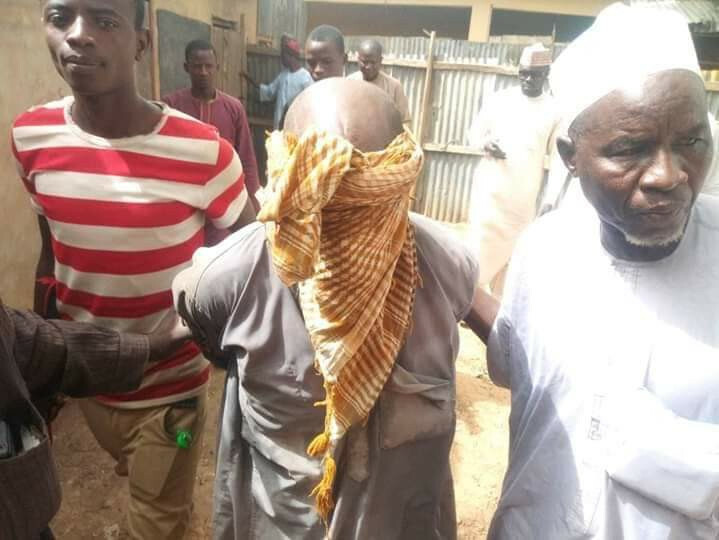 Suspected Bandit was catch in Shinkafi local government area of Zamfara State by civilian JTF know as (y'an sakai) and later execute without proper legal trial by an angry mob. See the graphic photos below. 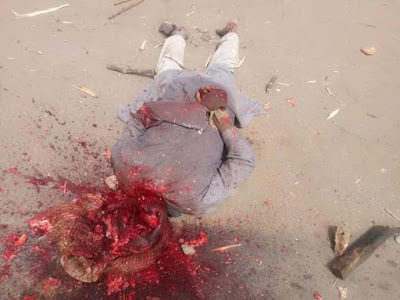 Viewers discretion advised.